Hugh Gives Ava A Lift! Home » Hugh Gives Ava A Lift! Hugh Jackman with his entire family were photographed enjoying a walk along the Hudson River Park in New York City. 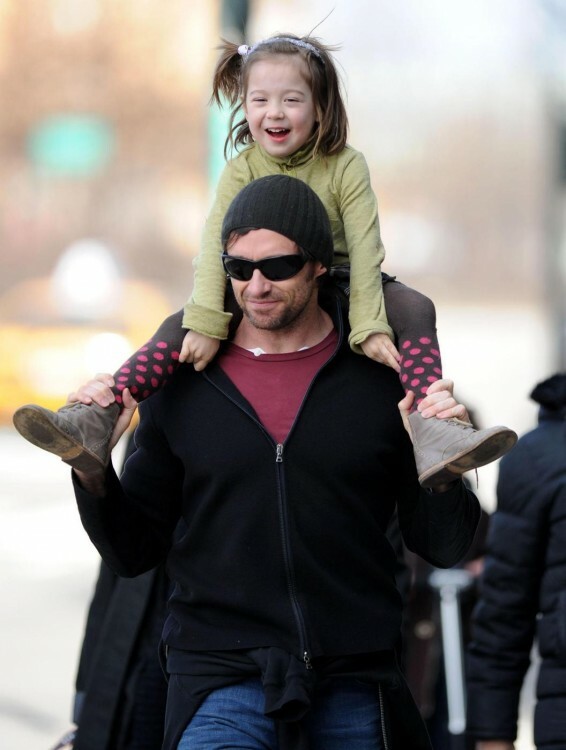 Hugh’s youngest child Ava is having blast riding on her dad’s shoulders..